The Beauty of Herbal-Fruit Waters! MY BLOGS » AHHH! The Beauty of Herbal-Fruit Waters! Water is the essence of life. It is everywhere. We can go weeks without food, but no human or animal can survive longer than a week without water, because we're all composed of 70% of the precious H20. Water is the largest component of almost every part of our body. WE CAN'T LIVE WITHOUT IT! When you take care of your body by drinking enough water, you will see more of the results you want, such as clear skin, better digestion, a flatter tummy, great energy, stamina, strength and a whole lot more. WATER IS ONE OF THE MOST IMPORTANT NUTRIENTS AROUND! Getting enough water is one of the best actions you can take to keep your body in great working order. But if water doesn't taste good, then it's difficult to drink and you won't get as much as your body needs. SO WHAT'S A SOLUTION TO HELP YOU ENJOY DRINKING MORE WATER? FRUIT AND HERB INFUSED WATER! I'm going to infuse your water with FRUIT and HERBS. And one of the great things about infusing water with fruit and herbs is that it provides additional nutritional benefits with very little sugar. You'll find the health benefits you'll gain will be the sweetest part of all. In fact, hydration scientists report that fruit-infused water can actually be more hydrating than regular water because the fiber in fruit helps the body absorb and retain more water. Of course you can make fruit and herb infused water without an infusion pitcher, but with so many to choose from and reasonably priced, having an infusion pitcher will help make your infusions taste even better. And if you get a portable bottle, you can take it on the go. 1) Fresh fruit is always best but frozen isn't bad either. 2) Fresh herbs are always best but dried can work well, too. 3) Change fruit and herbs every other day, except for oranges, they last a few days. And give your pitcher a good rinse between batches. 4) Use a glass pitcher or an infuser pitcher with a core container to put your ingredients in. 5) Use a wooden spoon or a muddler to gently mash or break open your fruits and release their flavor. (Muddler is a tool that looks like a dowel). 6) Up to 3 ingredients make great tasting infusions, but too many ingredients can create a muddy, unpleasant taste. 7) Set up your infusion water at night and refrigerate 6-12 hours, so it's ready for you in the morning. 8) Use tap, spring, reverse osmosis, electrolyte, alkaline, filtered or sparkling waters... your choice. 9) Buy your fruits and herbs organic, whenever you can. Sage and lemon create a wonderful infusion that can cleanse your body and help ward off a nasty cold, too. Place the sage leaves in your pitcher. Using a long wooden spoon or muddler, mash the sage (a little bit) for a stronger flavor. Place the lemon slices on top and add the water. Chill for 8 hours. This tropical infusion is best when you use sweet, ripe fruit. Place the fruit in your pitcher. Mash the fruit a little. Add sparkling water. Chill 8 hours. Marjoram is known to relieve stress and insomnia. Infused with mint this is delightful and can also help improve digestion. Simple as can be; just place the leaves and the water in your pitcher. Chill 8-12 hours. Infusing these ingredients into water can have a subtle detoxifying effect and it tastes great! Put the apples and ginger slices in your pitcher. Mash them both for 1-2 minutes, then pour the water on top. Chill 12 hours. High in vitamins A, C and B, this grapefruit watermelon infusion is an energizing and slenderizing duo. It's packed with the antioxidant lycopene and lovely to sip on, too. Put the fruit into your pitcher and mash the fruit for a minute. Add water and chill 8 hours. The most popular infusion served at a spa. Why? Because basil is known as a restorative herb and cucumber is cleansing. Coupled together they make a tasty refreshing drink. Place the cucumber and basil leaves in your pitcher. Cover ingredients with water. Chill for 12 hours. There is nothing quite as refreshing and sweet as a juicy orange. Filled with sunny vitamin C this orange water is not only beautiful to look at, but satisfying to enjoy, as well. Slice the oranges and put them in your pitcher. Cover with sparkling water and chill for 12 hours. Cinnamon and pears have been touted as stimulating all vital functions of the body. And the pectin in pears can help reduce cholesterol and the cinnamon can help regulate your blood sugar. Put the fruit slices in your pitcher and mash for 1 minute. Add the cinnamon stick and water. Chill for 12 hours. Both cranberries and peaches are high in antioxidants and their flavors compliment each other well. Peirce each cranberry (unless frozen) to let out the flavor and put them in your pitcher. Add peaches and cover with water. Chill 8 hours. Rosemary is said to improve circulation and soothe a sore throat and with the antioxidants of apricots and nectarines, you can't go wrong with this 3 step infusion. Put the apricots and nectarines in your pitcher with the rosemary. Mash the ingredients for 1 to 2 minutes. Add the water and chill for 8 hours. From the well-known cucumber water served at spas, to the fruity-rich herbals you can take on the go, to making herbal-fruit ice cubes to splash in your drinks, you can't go wrong hydrating your body with the beauty of WATER INFUSIONS. Learn how to transform your old ancient behaviors (that never served you) into fresh new healthy ones; one habit change at a time. 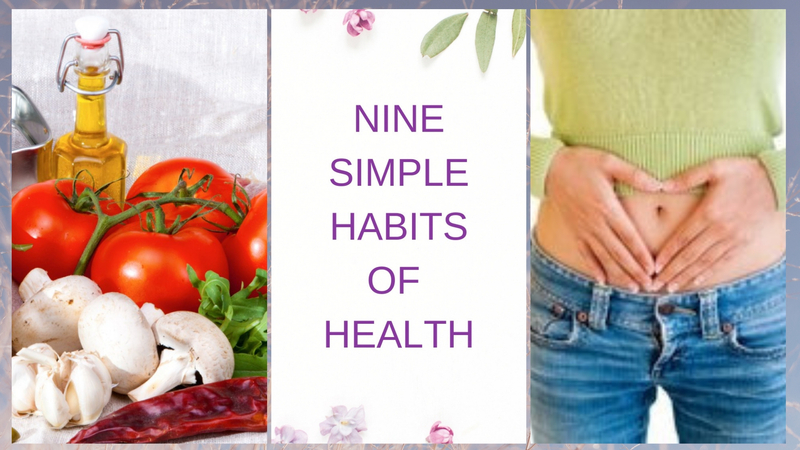 Healthy new habits that soon will take no fore-thought, be completely natural and will stick with you for the rest of your amazing life! Would you like a great list of super-quick balanced snacks to munch on while drinking your tasty 'infusion' waters? Then grab your 30 scrumptious snacks right HERE!